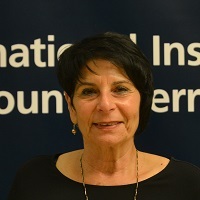 Orit Adato is the former Commissioner of the Israeli Prison Service (IPS), and the first International Vice President of the International Correction & Prison Association (ICPA). Moreover, Ms. Adato is the owner and Managing Director of Adato Consulting Ltd. Specializing in international consultation concerning issues, such as handling terrorists in prisons, coping with the development of terror cells, organized crime and gangs, building and shaping intelligence systems in correction organizations, and developing of intelligence cooperation between law enforcement agencies.